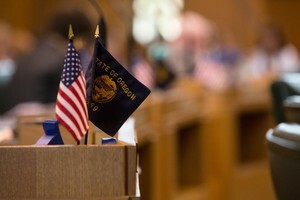 by Molly Solomon Follow OPB Jan. 9, 2019 1:04 p.m. | Updated: Jan. 9, 2019 2:48 p.m. | Vancouver, Wash.
One of southwest Washington’s largest school districts says it will have to make significant cuts this year. 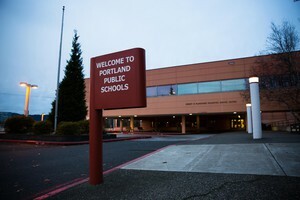 Vancouver Public Schools told board members at a Tuesday night meeting that the district is facing an $11.4 million deficit. The shortfall prompted the school board to approve a resolution that authorizes Superintendent Steve Webb to study program cuts and staff reduction, a move the district says is critical to balance the budget. 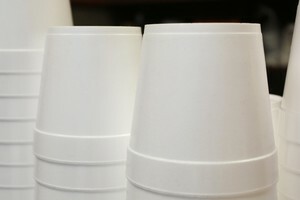 Webb said the district is in an immediate hiring freeze and will halt payment for materials, supplies and travel costs. The district says new salary contracts with the teacher’s union are partly to blame. 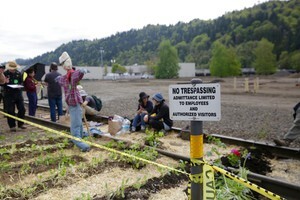 The resolution points to financial setbacks “stemming from collective bargaining” with teacher and staff unions. Costs include $7.24 million from the new salary contract negotiated with the Vancouver Education Association and $2.1 million to the Vancouver Association of Educational Support Professionals. 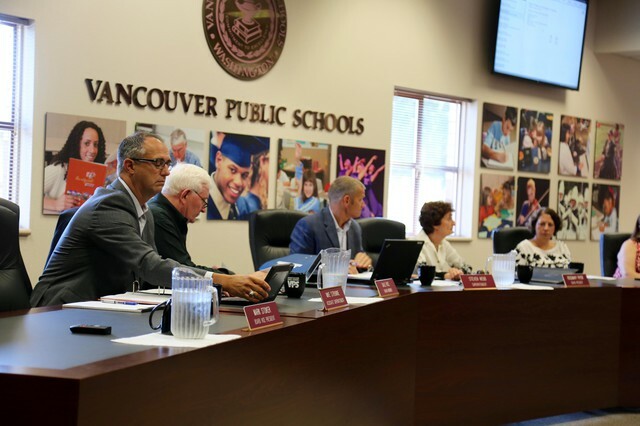 Members of the Vancouver Public Schools board of directors Tuesday, Jan. 8, 2019. 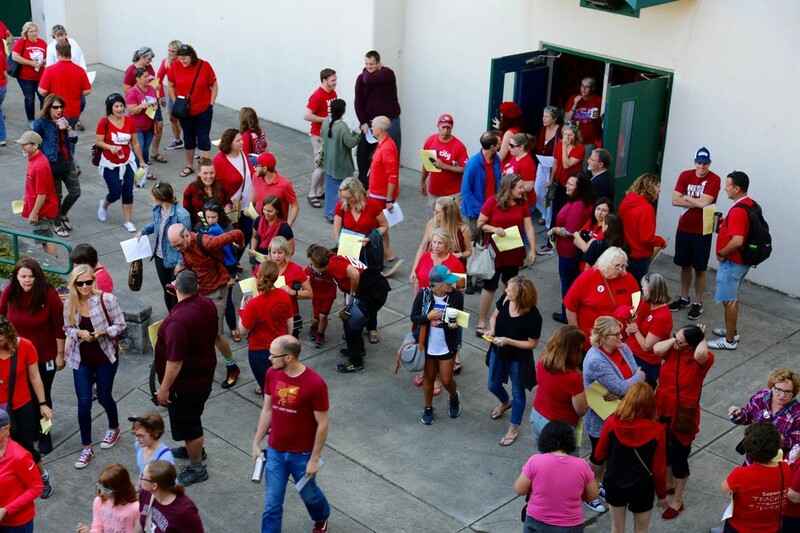 Vancouver teachers pour out of Skyview High School following vote to ratify a new contract Tuesday, Sept. 4, 2018.